Several thousand protesters rallied in Rome on Saturday to protest against what they criticized as unfair anti-migrant policies promoted by far-right Interior Minister Matteo Salvini. Waving banners with slogans “Black lives matter” and “Welcome for all; Open the borders”, leftists joined anti-racism activists who organizers said came from 50 cities to defend migrants and protest a recent decree on asylum rights. 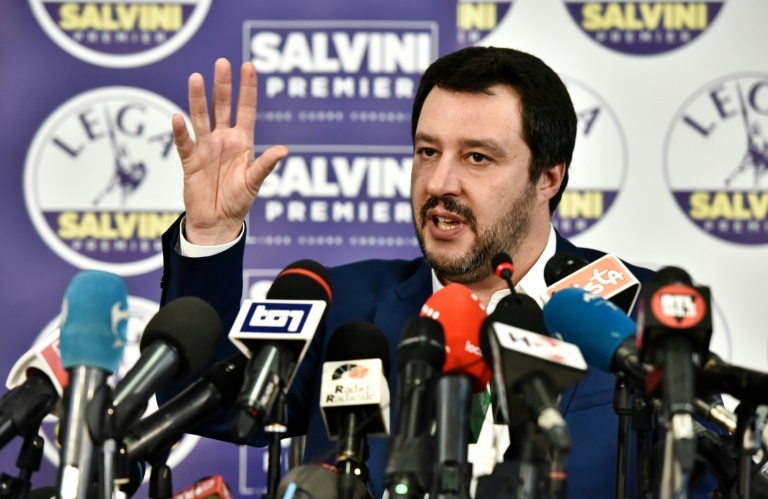 Salvini, whose far-right party forms a ruling coalition with the Five Star Movement, accuses other E.U. members of letting Italy shoulder an unfair share of migrants.